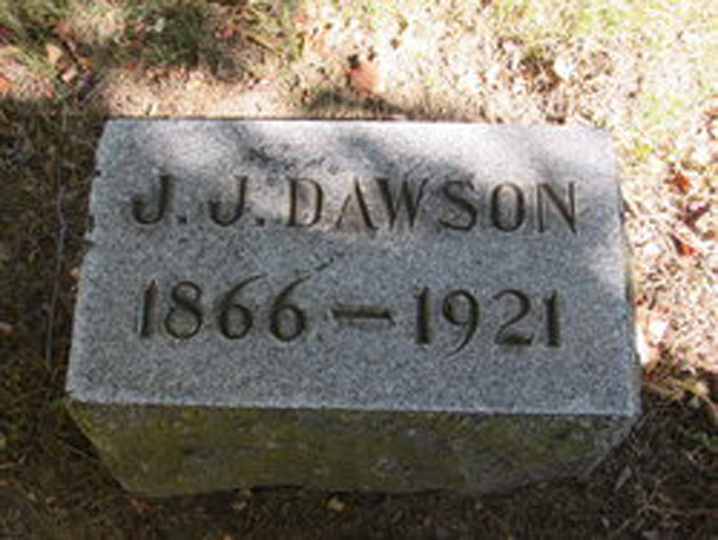 In the summer, James Dawson was chef on the steamer John J. Barlum which carried ore in the great lakes. The ship was manufactured in 1909 and scrapped in 1968. In the winter, he was a chef in a lumber camp. James died while the ship was docked in Milwaukee, Wisconsin. He was shot and killed in a holdup while going to church on a Sunday night. This happened in July, 1922, six months before his grandson, James Dawson Nixon, was born.